Mountfield is owned by the GGP group manufacturers of one of the largest range of lawnmowers and garden machinery in Europe. Mountfield is well known for quality and reliability of its lawnmowers, lawn tractors and garden equipment. The Mountfield name has been associated with lawnmowers for nearly 50 years. We offer a range of competitively priced Mountfield mowers. Iseki offer versatile products that meet the demands of many users, covering agricultural, municipal and non-commercial applications, including turf and lawn care requirements. When choosing Iseki you are investing in a product that is high quality and has over 70 years of industrial-leading engineering and manufacturing experience. Grillo is an Italian manufacturer of a range of high quality grass cutting machines, including walk behind grass trimmers and cultivators, which offer multiple attachments. Stiga is well known for the quality and reliability of its lawnmowers and out-front mulching tractor mowers. The Stiga name has been associated with lawn mowers for over 75 years. We have a full range of Stiga walk behind mulch mowers and out-front mulching ride on mowers. 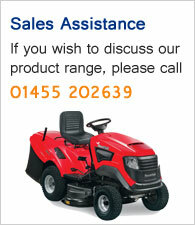 We currently have Stiga out-front mowers available for demonstration. The Husqvarna group is the world’s largest producer of outdoor power products, including chainsaws, trimmers, lawnmowers and garden tractors. Husqvarna products cover a wide spectrum of applications for consumers and professional users. We stock a full range of Husqvarna chainsaws, hedge cutters, blowers and vacs, trimmers, brushcutters and safety clothing. Since the development of the first chipper chains more than 50 years ago, Oregon has been at the forefront of cutting systems technology. The name of Hayter has been synonymous with British grass cutting for over half a century. The Hayter lawnmower range includes electric rotary mowers, 4-wheeled petrol rotary mowers, petrol roller rotary mowers and mulch mowers. We stock a range of the Hayter mowers at our store. Since its foundation in 1961, GARDENA has developed from a small trading company for garden tools into a worldwide recognized manufacturer of intelligent products for garden care. We stock many GARDENA products at our store. Morris Lubricants is a British independent family owned company that has been manufacturing lubricants in Shrewsbury, Shropshire, since 1869. One hundred and forty years of development has seen the company grow to one of Europe's leading oil blenders and marketers, with a solid reputation for quality and service.